Ecommerce is the number one way for companies to grow their business. In this competitive marketplace, there were over 1 billion online customers in 2017. This number will increase to over 2.14 billion by 2021. If your company is considering tackling this trend, then this article is for you! 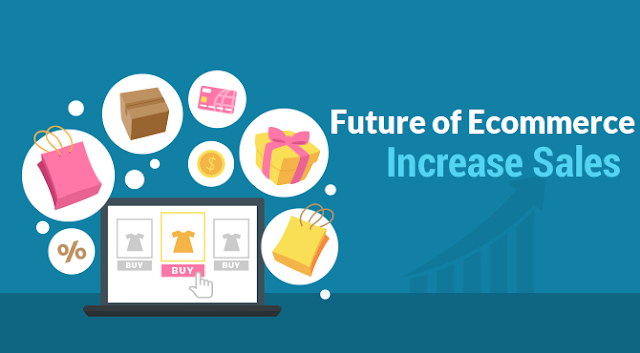 Check out this helpful guide on the current trends that are shaping the future of ecommerce. Follow these trends today and watch your sales skyrocket past your competitors! Ecommerce refers to selling and buying products and services using the internet. Ecommerce also involves transferring money and data to complete these transactions. Ecommerce makes products easier to find and buy through online marketplaces. Both small and large companies have benefited from ecommerce. Retail ecommerce sales worldwide will reach $4 trillion by 2020. Customer engagement refers to how a company creates ongoing customer relationships. These relationships build customer awareness and brand loyalty. Social media outreach and other marketing campaigns can build customer engagement. Ecommerce trends today include personalizing this engagement to the shopper’s own interests. Online companies use customer page visits and search queries to recommend specific products. Companies can then use this data to customize their websites. Personalizing websites makes them more accessible. People soon learn that they can spend as little time on it as possible when they shop. You can learn more here on some of the best ways to optimize your online presence. Take these skills to create a portfolio of products with the right price and the right benefits. That way, you’ll be able to meet your customer’s immediate needs. Other trends in ecommerce include using artificial intelligence assistants and chatbots. Artificial intelligence (AI) assistants operate on specialized software. This software can complete a task in response to a verbal command. Chatbots use similar software to conduct an actual conversation. Chatbots can replicate how humans would respond in an actual conversation. A virtual intelligent assistant can perform tasks or services based on verbal commands. These assistants can do receptionist duty or manage inventory. They can help with answering public questions, which lets you manage the business. Customers still expect to interact with the goods and services they plan to buy. Online reviews or expert opinions won’t be enough to convince them of the quality of products on the market. That’s where interactive product visualization steps in. Interactive product visualization allows companies to display their product features with 3D animation. Virtual and augmented reality technology supports interactive 3D imaging. Product visualization allows customers to interact with the product before they buy it. Customers can turn the product at different angels to see it from their smartphone or laptop. This visualization technology helps remove the doubt from any buying experience. Many ecommerce businesses are opening up physical, onsite locations to sell their goods. Some of these onsite stores are temporary pop-ups or are permanent storefront locations. Other eCommerce brands will attend special events or festivals to market their wares. Ecommerce brands have noticed many benefits of establishing brick and mortar locations. These physical stores help them engage with their customers. In person sales also helps to enhance the customer’s buying experience. 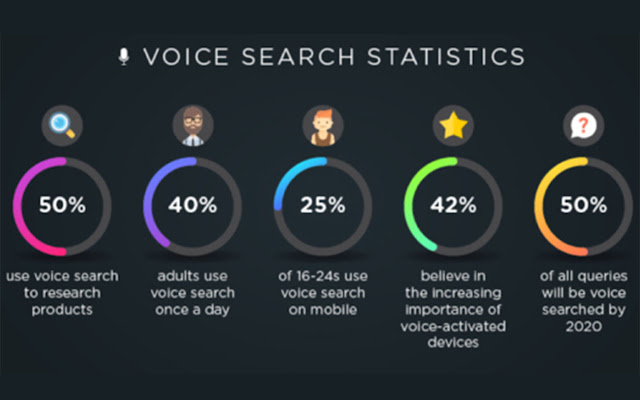 Marketing researchers estimate that 50 percent of online searches will be through voice search by 2020. This trend is a significant opportunity for ecommerce. Voice search allows customers to conveniently buy products. Voice search queries are conversational as opposed to only one or two keywords. That's why ecommerce companies are creating content written in a natural tone. This helps companies rank high with long-tail keyword searches. Another new ecommerce trend is the explosion of Micro Markets. Micro Markets are custom-designed vending machines that have their own self-checkout technology. These vending machines sell a selection of food and beverages in controlled coolers. Micro Markets are an attractive business model. They don’t need any onsite staff to serve customers or take payments. They also have advanced inventory capabilities to track products. As a result, Micro Markets are becoming a primary source for large employer’s work-site food. Hyperlocal ecommerce businesses represent the future of online shopping. These companies can deliver food to you, for example, within an hour of ordering online. UberEATS and GrubHub are two examples of businesses using this business model today. These companies have supply warehouses close to their customer base. This helps them to make fast deliveries possible. Hyperlocal ecommerce companies compile a list of all local suppliers within their territory. They then team up with targeted resources to deliver goods in the quickest time possible. Are you ready to tackle the future of ecommerce on your own? The good news is that you can start this revolution today. Invest in virtual assistants who can screen customers or answer questions. This will free you up to take command of the direction of your company’s future. Optimize your product portfolio to enable voice searches and harvest customer online data. Not only will you enhance sales, but you’ll have a road map on creating a great digital strategy. For more business insights, don’t forget to check our website. We’re here to help you reach your goals and make sure your business becomes the success we know it can be.